It’s a natural human reaction to put off making your Will, but without a Will you will leave your Estate in turmoil in the event of your death. 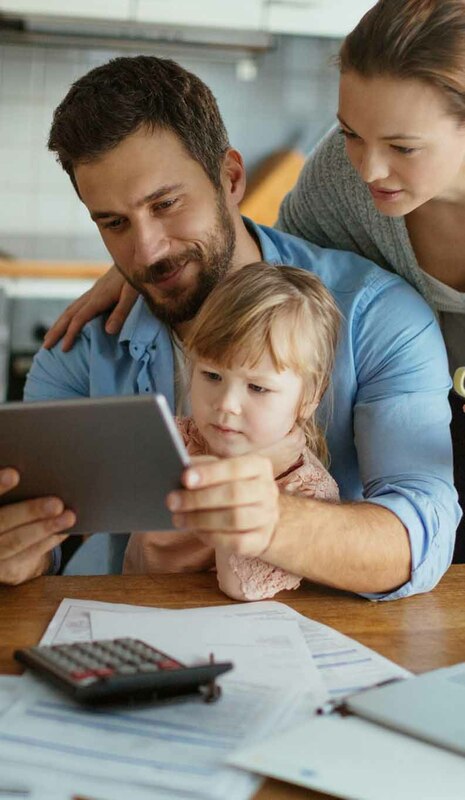 Frog Wealth Management understand this issue and so have applied the same simplicity to making a Will, that is a feature of all our services. A Will ensures your wishes are carried out in the event of your death, that your assets go to the people you want them to go to, and can even make sure your dependent children, if you have any, are taken care of by people you know and trust. Without a Will, families find that Courts can make decisions on behalf of the deceased, final wishes often don’t get carried out and assets end up in the wrong hands, or worst still, are appropriated by the state. In the case of families with young children, where people are less likely to think they need a Will, it’s actually more imperative that a Will is in place: should the worst happen and children are left without both parents, the Courts will decide on Guardianship. Your Will should protect your assets and can state clearly your choice of Guardian for dependent children. If you die without a Will, your spouse or civil partner won’t automatically inherit ALL your Estate. Worse still “Common Law” partners may not receive anything and, at the very best, there are likely to be lengthy delays for your loved ones, at a time of significant uncertainty. Without a valid Will, an unmarried partner receives nothing from a relationship, should one die. It’s very common that people think they don’t have the time to make a Will, or that they will have lots more time in the future. People also believe that they don’t have enough assets to make a Will worthwhile. Or that it’s too difficult to arrange a convenient time for everyone involved to meet at the solicitor’s office during working hours. We make putting a Will in place quick and easy, because we ask the right questions, research your options and present the best, most cost-effective solution. You can be confident in the advice provided by our experienced advisers with years of experience of helping businesses, individuals and their families to address these issues. We charge a fixed fee for making a Will. We can also undertake to store your Will, so that it can be easily located when needed. A. The vast majority of people put off making a Will for a variety of reasons, either believing that the people they would wish to inherit will automatically do so, or because they don’t think it is relevant to them at this particular time. The reality is that you can put off making a Will until it is too late and this poses all sorts of problems for the people left behind and could mean that some or all your inheritance either goes to the wrong person or to the State. Firstly, and most importantly is the peace of mind making a Will provides. Making a Will enables you to plan exactly what will happen to your property (Estate) following your demise. This ensures that those you would like to benefit actually do so, in accordance with your wishes and at the same time, avoiding any possible disputes between relatives. For a small investment of time and money, you can choose exactly what you want in your Will, protecting your loved ones, whilst enjoying peace of mind. Q. Who needs to make a Will? A. The answer is Everyone. In particular, anyone with dependant relatives, (children under the age of 18, elderly relatives or relatives with a disability who have special needs), anyone who owns property or has any type of asset which you would wish relatives, friends or charities to benefit from. Q. But won’t everything go to my husband/wife/civil partner/parents/children, etc, automatically? A. This is a common misconception and depending on the size of your Estate, there are set rules (Rules of Intestacy) that are applied, to determine who inherits and how much, if you do not make a Will. Q. So, what happens if I don’t make a Will? A. This is called dying Intestate. There are specific rules of intestacy that set out who will inherit and by how much, if you do not leave a valid Will, this may not be what you would have wished and in the worst-case scenarios, where relatives cannot be traced, your assets will be taken by the Crown. The amount your spouse/civil partner inherits depends on the value of your Estate and which of your blood relatives survive you. Assets held in joint names usually pass automatically to the other joint owner(s) and do not form part of your Estate (if you are unsure about the type of joint ownership you share with another, you should consider seeking legal advice). It is possible for Beneficiary(s) of an Intestate Estate to enter into a Deed of Variation, for more information on Deed of Variation please call us. You are living together but are not legally married or in a civil partnership but wish your partner to inherit some or all your Estate. You are legally married or in a civil partnership and have children and you wish your spouse/civil partner to inherit all your Estate. You have no living relatives and wish to leave your Estate to your friends or to a charity. You are legally married or in a civil partnership but have no children. You are legally married or in a civil partnership and don’t wish your spouse/civil partner to inherit anything. You are legally married or in a civil partnership and have children from a previous relationship and you wish to ensure that your children receive something from your Estate. You have dependant relatives e.g. Children under the age of 18, elderly relatives or relatives with a disability who have special needs and you want to make sure that they are looked after and provided for. (If you make a Will you can appoint Guardians to look after your children and set up Trust in your Will to provide for dependants. If your Estate is large, you may be liable for IHT, therefore you may wish to make arrangements for tax planning. An Executor is the person responsible with administering a deceased person’s Estate in England, Wales and Northern Ireland. You can appoint an Executor by naming them in your Will. The Courts can also appoint other people to be responsible for doing this job. What happens if the person who dies, leaves a valid Will? In this case one or more ‘Executors’ may be named in a Will to deal with the person’s affairs after their death. Any number of Executors can be appointed, but only four can apply for the Grant. The Executor applies for a ‘Grant of Probate’ from a section of the Court, known as the Probate Registry. The Grant is a legal document which confirms the Executor has the authority to deal with the deceased person’s assets (property, money and possessions). They can use it to show they have the right to access funds, sort out finances, and collect and share out the deceased person’s assets, as set out in the Will. What happens if the person who dies, doesn’t leave a valid Will? If there is no Will, a close relative of the deceased can apply to the Probate Registry to deal with the Estate. In this case, they apply for a ‘Grant of Letters of Administration’. If the Grant is given, they are known as ‘Administrators’ of the Estate. Like the Grant of Probate, the Grant of Letters of Administration, is a legal document that confirms the Administrator’s authority to deal with the deceased person’s assets. As a last resort, the Public Trustee (an independent public body appointed by the Lord Chancellor), can act as an Executor. It may be appropriate to appoint the Public Trustee as Executor if there is no one else able or willing to act as Executor, or where a Beneficiary is an incapacitated adult, or dependent child, likely to outlive both parents and other close relatives. It’s worth having more than one Executor in case one should die before you. It may also be easier for the Executors, if there is more than one person to share the work and the responsibility. The Executors may have to deal with any day-to-day administration of your Estate in the period before it can be distributed. Executors can claim from the Estate for expenses incurred in carrying out their duties. If the Estate is large or complicated, there may be advantages in appointing a Professional Executor such as a solicitor, Accountant or Bank Manager. A Professional Executor will charge for the work that they do and these costs should be met from your Estate. Ask for details of the likely costs before appointing the Executor, to check that you are comfortable with them. Frog Wealth Management can recommend Professional Executors, should you wish to consider this. Executors like Trustees, are in a fiduciary relationship, so they cannot make a profit out of their office. They may only claim out of pocket expenses. Therefore, a charging clause must be included, authorising them to charge for all work done by the Executors or their firm in administering the Estate. There is no legal objection to a Beneficiary being appointed as an Executor, where he or she is the sole Beneficiary, or where the Estate is small or uncomplicated. Obtain a copy of the medical certificate indicating cause of death and a formal notice from the Doctor if the family members to not wish to do so. Register the death at the local Registry of Births, Deaths and Marriages, if there are no family members wishing to do so. The death must be registered to obtain the Death Certificate. N.B. It is advisable to get more than one copy, as it will be needed when dealing with Insurance companies, pension providers, etc. Could be responsible for making sure any last wishes, such as organ or body donations are carried out. The job might also include planning for the funeral or cremation and arranging for payments for the services provided. Locate all the heirs. This might seem like an easy task and if there are just a couple of children and they are the only ones named in the Will, it is easy. If there are numerous heirs and they are named in the Will, either collectively or individually, the Executor must locate each and every one. Make and exhaustive list of all the assets of the Estate, from personal to real property, to bank accounts, investments, etc, and all debts including credit cards, utility bills, loans, etc. It is advisable to open a separate account into which money paid into the Estate can be credited. This will prevent Estate monies being confused with personal finances. Notify all businesses of the death e.g. utility companies, credit card companies, banks, council tax offices, social security, etc. If there are minor or dependent children, the Executor could be responsible for arranging for their care and placement. The deceased might have stated their wishes in the Will, but if not, the Courts might need to be involved in the placement. If there are pets, the Executor will need to care for them and plan for their continued care. You must declare the value of the Estate to HMRC on an IHT return, within 12 months of death. Payments of the deceased’s tax is your personal responsibility. Failure to submit an accurate account to HMRC may leave you open to personal liability or penalty. Distribute the contents of the Will, making sure that if anything is to be left to minors, a Trustee has been named. After you have completed all your tasks, you will need to produce a full set of accounts for the Beneficiaries, showing the Estate assets and liabilities, administration income and expenses and how the Estate has been distributed. 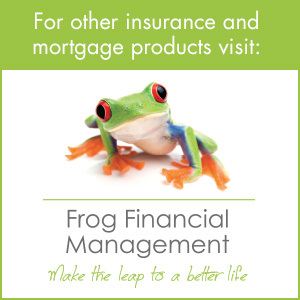 Frog Wealth Management can deal with the administration of the Estate for the later circulation to the Beneficiaries if you so desire. In addition, we have a clear professional duty of care to explain clearly in advance, the basis of our charges, so you know what to expect. If you are considering asking someone to serve as the Executor of your Estate, be sure they understand the duties and responsibilities of being an Executor. Being the Executor of an Estate is not really an honour, it’s a difficult, time consuming job that carries some legal liability. An Executor will probably work long, hard hours for at least a year or two getting your Estate settled and they could quite possibly be a very unpopular person to your heirs. Who should act as Guardians, friends or family? You will need to consider who should be the Guardians of any children under the age of 18 years who may survive you. The law has certain requirements, particularly where the parents are unmarried, have divorced or separated. The normal choice is to appoint family members, particularly where very young children are involved. As children grow, the appointment of friends may be more appropriate, as they are more likely to share your lifestyle and in these modern times, are likely to live nearer than your family. It is usual (but not essential) that the same persons are appointed Guardians of all the Testator’s minor children. When the Guardians are to act only after the death of the surviving parent, it is desirable that each parent should appoint the same persons to act as Guardian. It is, of course, important that the Testator should obtain the consent of the proposed Guardian, before making the appointment. Although each parent can appoint different Guardians, it is worth remembering that both will legally act in the event of your death, so depending on who you have chosen, will influence your children’s future. You can also appoint different Guardians for different children, but this may mean splitting them up. Guardians must ensure adequate contact between the children is maintained, but you may not be happy having your children divided in any way. Unmarried fathers who don’t have parental responsibility cannot name Guardians, neither will they necessarily become Guardian should the mother die. If they wanted to ensure that they did, it would be necessary to enter into a written agreement to share responsibility with the mother, or apply to the Court. It is possible for unmarried fathers to become Guardians, if appointed by the mother or by marriage. Also, after 2003, if an unmarried father is named on the birth certificate, then he will automatically have Parental Responsibility and so will be able to appoint Guardians in his Will. There is a danger where the appointment of a family is being considered, to appoint a ‘committee’ of all the grandparents, or brothers and sisters. This has its obvious disadvantages in that the most important issue, the wellbeing of your children, may at worse get overlooked and at best, be difficult to manage. It is best to limit the maximum number of Guardians to two and it is preferable that they share a home as partners. Thus, your children will become part of a familiar and stable environment at probably the most difficult time of their lives. By all means appoint substitute Guardians, as this will ensure continuity if circumstances change. Duties are essentially the same as those of a parent. They are responsible for the day-to-day upbringing of your child and would stand in your shoes in that respect. The organisation of holidays, birthday presents and all the everyday things, that we take for granted. The terms of your Will should allow the Executors and subsequently Trustees, to do all that is necessary to assist in financial matters. The “Expression of your Wishes” in an informal letter to the Trustees, is often an easier way of ensuring that your child or children are brought up, as you would wish. However, a word of warning, do not try to enforce too rigid a routine, either in the letter or in your Will, as times change and so do your children. It would make the Guardian’s job even harder, for instance, to impose the attitudes of, say ten years ago, now, would be very difficult! The role of the Guardian is a very responsible one and should not be entered into lightly. There will be financial, social and emotional implications, taking on such a vast role and the matter should be discussed in detail between the Testator and the appointed Guardians. You may be able to claim child benefit and receive a Guardian’s Allowance in the event that both parents are deceased. Where one parent is alive and you are still called upon to act as Guardian, the situation will obviously be more complicated. A surviving parent is unable to perform their role because they are overseas, in the army, in prison, disabled, mentally incapacitated, after the death of the first parent, or they just refuse responsibility. A couple are separated or divorced and just one of the parents die. The Guardian will act with the surviving parent and should disputes arise, they must be settled by the Court. The surviving parent is still considered the statutory Guardian. It is normal for the financial management to be separated from the day-to-day upbringing of children. Whilst the Guardians have the daily responsibility, it is better for financial control to be handled by someone different, normally the Trustees of your Estate. The two tasks demand different skills, that may not always be found in the same person. It also means that the Trustees, the Guardians and, when they are old enough, your children, can share what can be difficult decisions. In your Will, where your children are underage and are to benefit from your Estate, you should nominate them as the Beneficiaries. Under no circumstances should you nominate the Guardians; as mentioned above, the money will be held in Trust, and will be controlled by the Trustees for the benefit of the children. The appointment of testamentary Guardians for children, allows you to decide who should be responsible for your children’s welfare, maintenance and education, and how these should be funded, if both your deaths occur, while any child is under 18 years of age. Please note, the expression ‘Testamentary Guardian,’ merely indicates that the Guardian has been appointed by a Will. There is no legal reason why you cannot appoint the same people as Executors, Trustees and Guardians if you wish, but you should be aware that there is a potential conflict of interest. Trustees are responsible for advancing sums of money held in Trust to the Guardians to help with Guardianship duties. However, if you have absolute trust in the people appointed, then do not allow this to concern you. Do consider factors such as the age of your Guardians, where they live in relation to you, (would children have to move school, etc), how close is the relationship between your Guardians and your children now, and do your Guardians know and share your views on how your children should be raised and educated, etc? You may be appointed to act jointly with Guardians. If called upon, you may already have agreed which part of the child rearing role you will undertake, or you may need to decide this at the time with the other appointed Guardians. The surviving parent usually assumes full custody of minor children, if the parents were married. Even if the parents were divorced, the surviving parent is normally entitled to resume full custody of minor children; however, this right will not necessarily be exercised. Divorced Testators may still choose to name friends or relations as the first choice for Guardians. Unmarried fathers do not assume automatic custody rights unless a Parental Responsibility Agreement is in place. The ultimate decision on who will act as Guardians to minor children rests with the local Social Services. Naturally, they will try to abide by the wishes expressed in a legally valid Will, whenever possible. Guardians may also be appointed as Executors and Trustees in the same Will. It is useful if at least one Guardian is also appointed to be an Executor and Trustee, so that funds can be advanced most conveniently when required. Guardians require the maximum flexibility for living arrangements and the use of funds. All normal requirements can be catered for with a comprehensive selection of Trustee Powers, which should be included in a professionally drafted Will. Whatever is informally agreed with the parents at the time of the appointment, Guardians should not commit themselves to specific arrangements, which they may not be able to fulfil in the future.